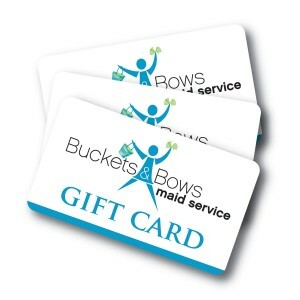 Buckets & Bows Maid Service is a big fan of our local high schools. We regularly advertise in support of the Marcus High School football team as well as the Flower Mound High teams. We love supporting the marching bands as well. Mom’s are always frustrated when they are tasked with keeping the uniforms clean and stain free. So this article is dedicated to the Marcus and Flower Mound football moms who get to launder all these uniforms! We hope this helps to make your job easier. Nobody is perfect and stains are bound to happen to everyone. So, at Buckets and Bows we want to make sure you are equipped with the best stain removal knowledge. Here are the best ways to remove those tough clothing stains from the most common stain sources. Washables: Treat with a commercial rust remover that’s safe for fabrics, like Rx For Spotting Rust Remover. Then launder as usual. If you don’t have a special rust-removal product, pretreat the stain with a product containing surfactants (lubricating agents found in most detergents), then launder. No matter what: Don’t add chlorine bleach to the mix. It reacts with the rust, intensifying the discoloration. Washables: Let dry, then brush off as much as possible. Apply a gentle detergent, such as Woolite, and water. Rub to form suds, then rinse. Next, lighten any remaining stain with a combination of one part white vinegar and one part water. Machine wash.
Non-washables: Let dry, then carefully brush off as much as possible. Use an eyedropper to apply a solution made from one tablespoon of liquid dish-washing detergent, like Ivory, and one cup water. Rinse with cold water. Washables: Apply a prewash treatment product to your stain and let sit for about 15 minutes. For a more natural approach, you can use a solution made up of one part white vinegar to two parts water. Use a toothbrush to work the liquid into the area. Finish with a quick wash using an enzyme detergent, which breaks down proteins and lifts the stain from your garment. Nonwashables: Apply a combination solvent (a store-bought stain fighter like Shout or Zout) and let sit for 15 minutes. Use an eyedropper and diluted ammonia or vinegar to remove any remaining color. Thoroughly flush the area with cool water. Washables: Put glycerin on the spot (hairspray will work, too), then treat with a detergent like Woolite and very little water. Gently rub to form suds and rinse. Nonwashables: Same as for washables, but instead of rinsing the suds, just dab water onto the area. One of the best stain removers in the world comes from The Clean Team, called “Stain Assassin“. It’s tough on stains and gentle on garments. We love, love, love this product!